Managers can make a substantial impact on employee engagement. And equipping them to do so can be a challenge. 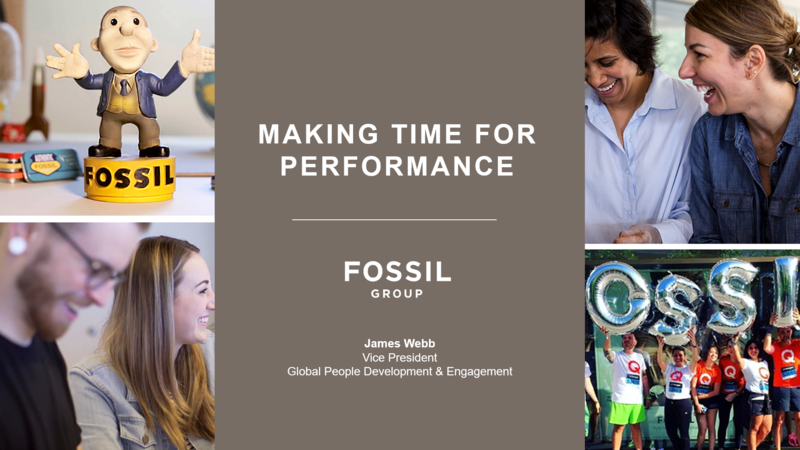 Join James Webb, VP of Global People Development & Engagement to uncover Fossil’s approach to performance and how they equip managers to make performance an ongoing conversation. Uncover their strategy to implementing an ongoing performance process and how they keep performance management cornerstones in place, such as development, scorecards, and touch bases.